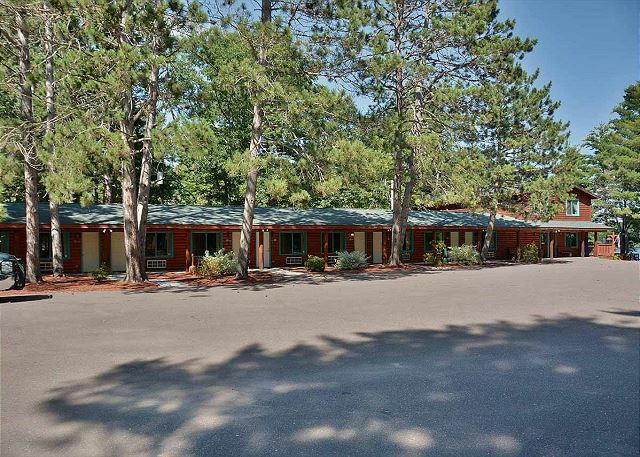 Grand Pines Motel includes ten motel rooms, located on Little Round Lake near Hayward, Wisconsin. 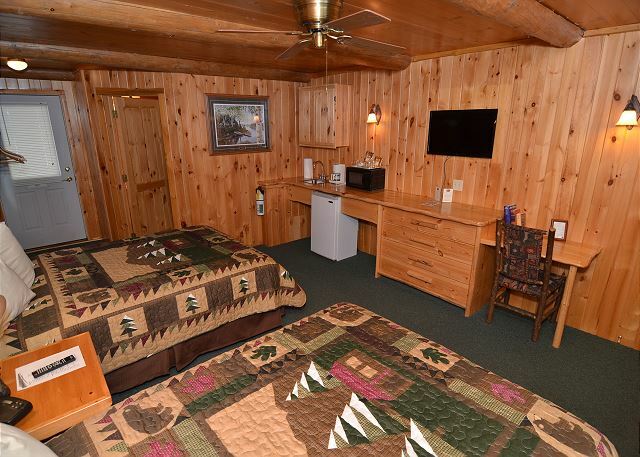 These newly-remodeled motel rooms are the perfect lodging for everything from romantic getaways to outdoor escapes. 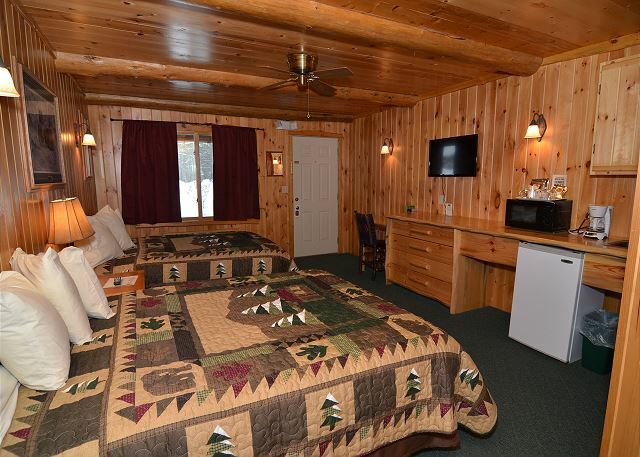 Each of our comfortable, Northwood’s inspired rooms include two queen beds, a flat screen TV, a small refrigerator, microwave, a wet sink, a coffee maker, private deck off back, central air and whirlpool jets in the tub. LCO Casino is only 3 miles away! The rooms were very clean and well kept. The lake is crystal clear. The staff members were kind, helpful and seemed happy. We had such a good time we booked again for next year. 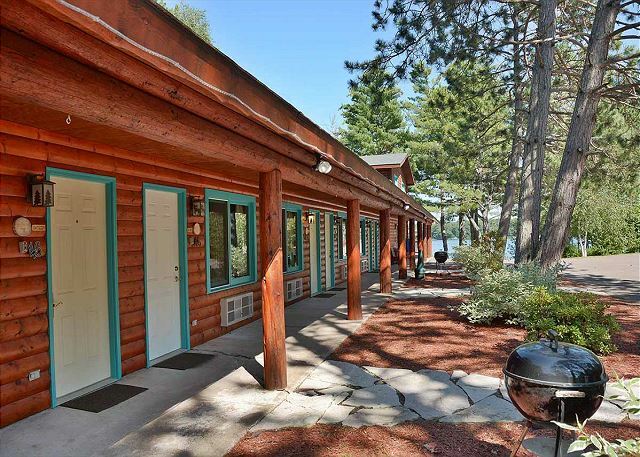 My wife and I needed a place for a midweek stay in June to be near some family members who were staying elsewhere in a nearby sold-out resort. 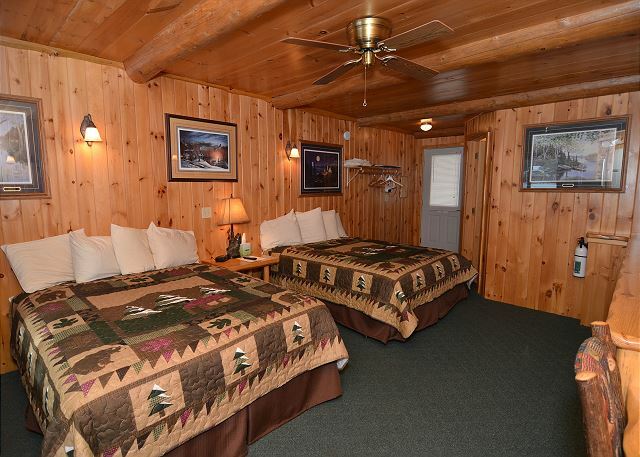 The Grand Pines motel worked out perfectly for us. The interior of our room was well-maintained and clean. Beds were comfortable enough to get a good sleep each night. The walls between units seem thin because we could hear the guests on both sides, but fortunately they were quiet at night and this issue was a non-factor. Our only criticism regards the exterior cleanliness. There were at least dozens of dead small bugs on the exterior approach to the room including the door threshold. When opening the door, some of them would get sucked into the room from the small current created by opening the door to the inside of the room. 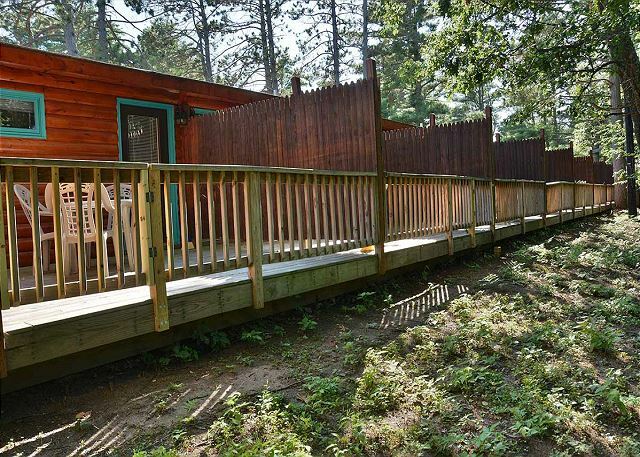 At the rear of each room, there is a nice wooden deck with chairs overlooking a wooded area. However, this area was very unappealing because of fallen debris from the trees and large spiderwebs. 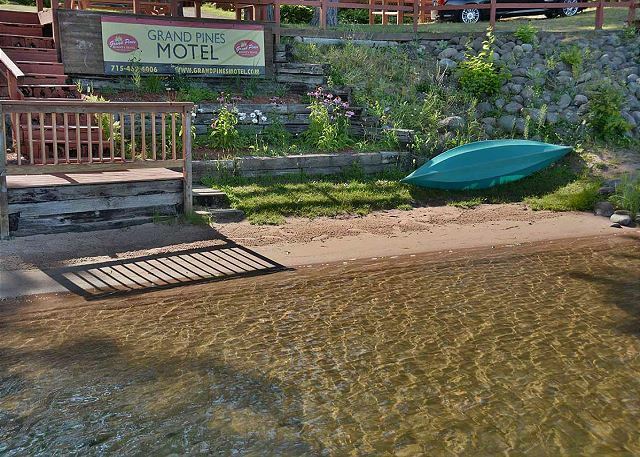 It is obvious that the exterior had been ignored by motel staff for at least several days. Had it not been for these exterior issues, our stay would have been perfect. It was clean and felt safe. The door deadbolt didn't work in #49?? If you could put a sign up where to turn into would help. We went to the cabins first on the west side of the road. We stayed at the motel, it was cozy, warm and clean. Very impressed by the easy check in and check out process. Will definently return. Rooms are clean and quiet. 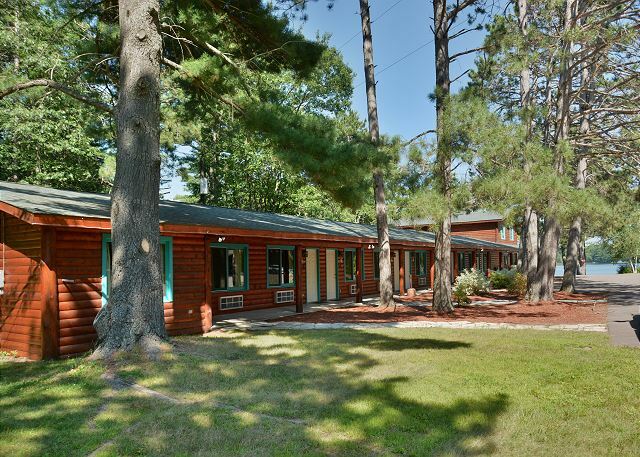 We planned a short trip to Northern Wisconsin and stayed at Grand Pines on our way up to the Apostle Islands. 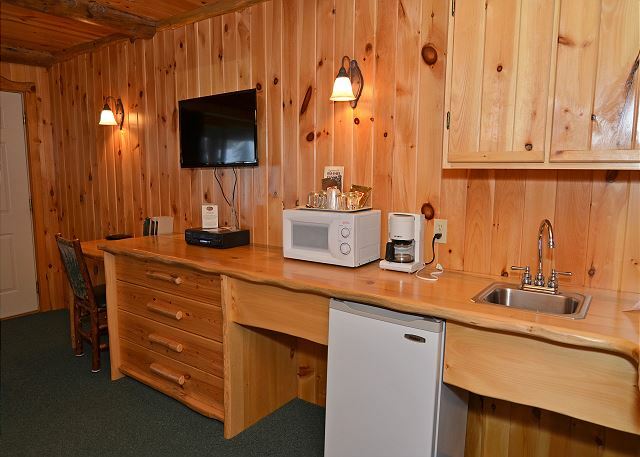 Nice "cabin-feel" room in a somewhat private, woodsy location on a pretty, quiet lake setting. Room was comfortable, spacious, and EVERYTHING was in good working order (and that's rare!). 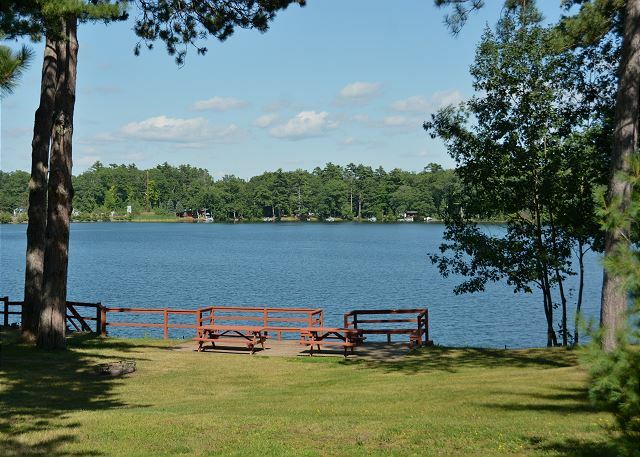 Our experience in Round Lake was delightful. 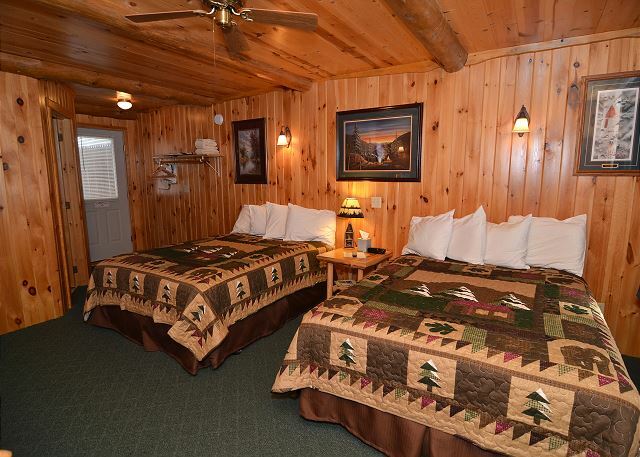 Your Pine motel rooms were very nice. 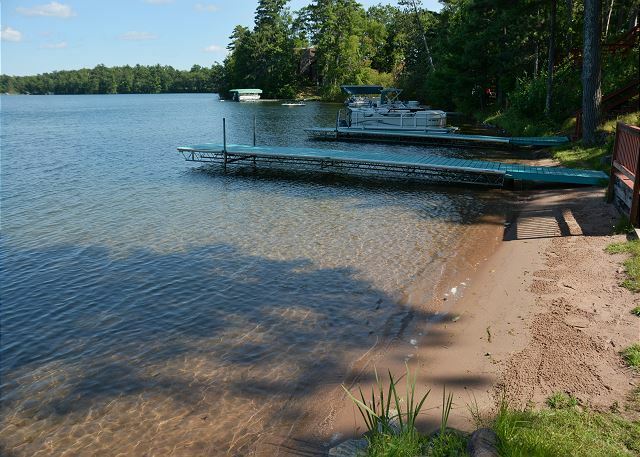 The location was great and we loved being on the lake. 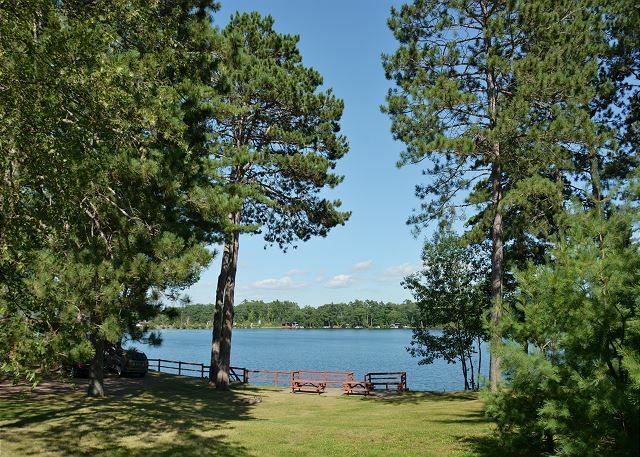 Grand Pines was a very nice resort and very fairly priced. 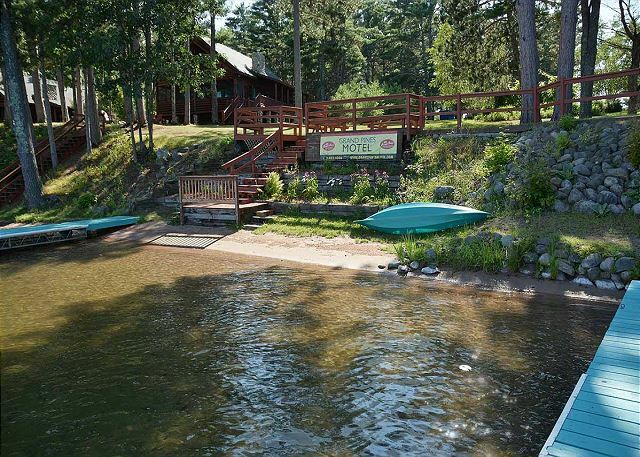 The place is clean and just an overall great getaway. 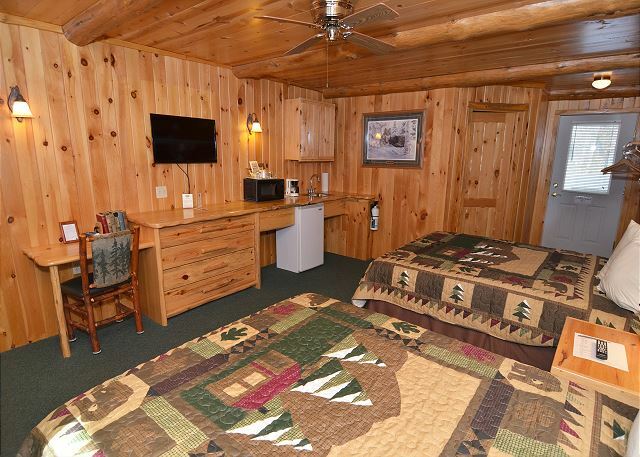 A group fishing trip brought 5 of us to Grand Pines Resort and we occupied two motel rooms. 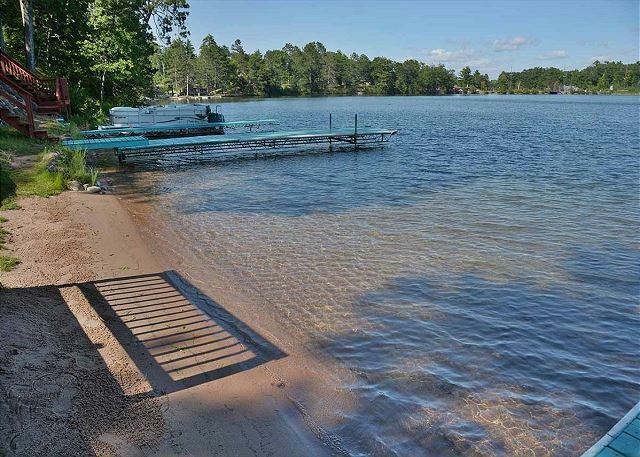 My fishing partners all commented on what a nice place it was, how clean the grounds and rooms were and how convenient it was to have a boat launch and docks on site. 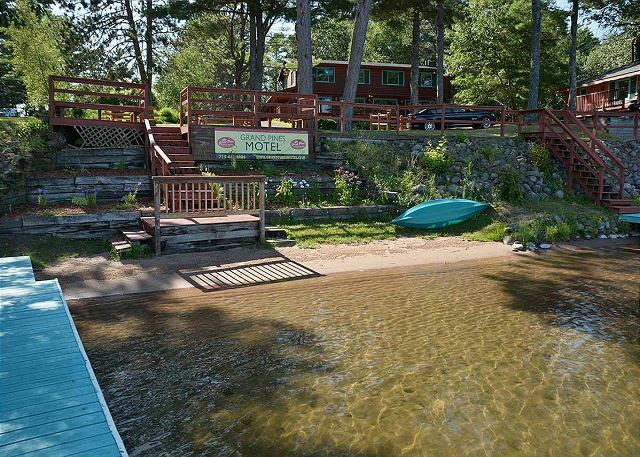 I knew all that as I was a Repeat Visitor and will be staying at the Grand Pines Motel in another two weeks for another fishing trip. Whether you fish Round Lake or another area lake you will not be disappointed.